These handmade glazed terracotta tiles from Fez, Morocco, called “Zelliges” by Emery & Cie. 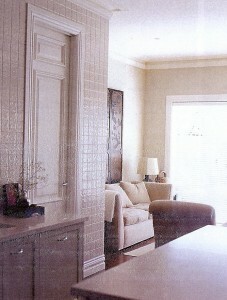 I love the colour variation of each unique tile and how together they create something that looks almost organic. Their selection of colours is amazing – from lovely pale neutrals to dark and moody dark hues like chocolate or cinnabar. The colour above is no. 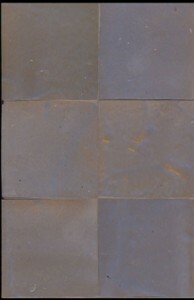 12 “Blue Ciel Gris” – which I think might be my favorite. 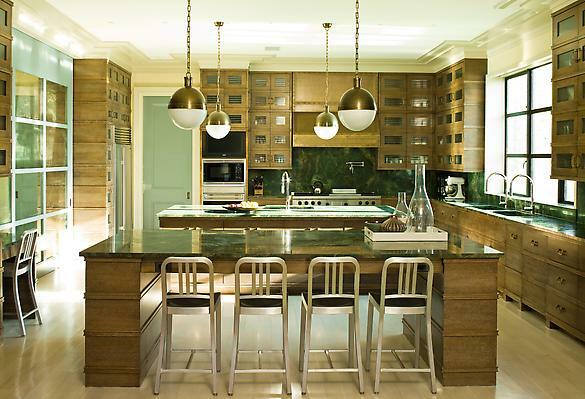 They look stunning en masse in a bathroom or kitchen, as Ilse Crawford has done in her own home (above) and the London home of a client (below) – as featured in the lastest Domino Magazine. Emery & Cie has a lovely range of products hand made in Morocco, so I recommend you check out their website if you like the look of these tiles. I have a few more to share with you before I get this part of the house out of my system. This post is partly in honour of my Nth American friends who celebrated Thanksgiving yesterday. 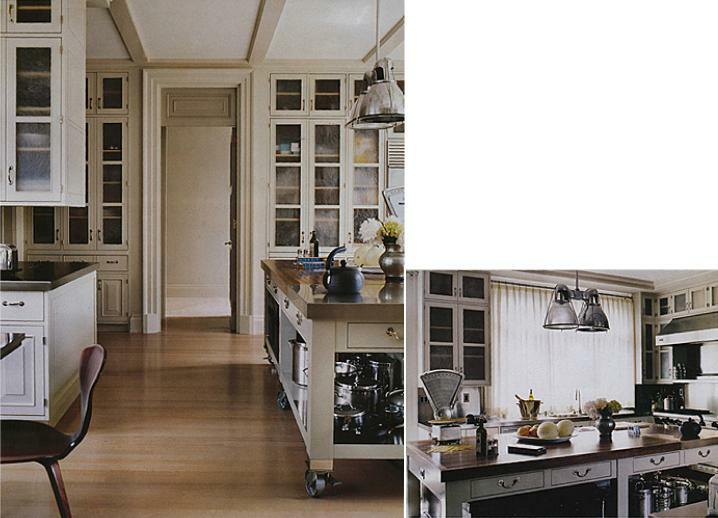 Two stunningly classic kitchens by Anne Coyle. 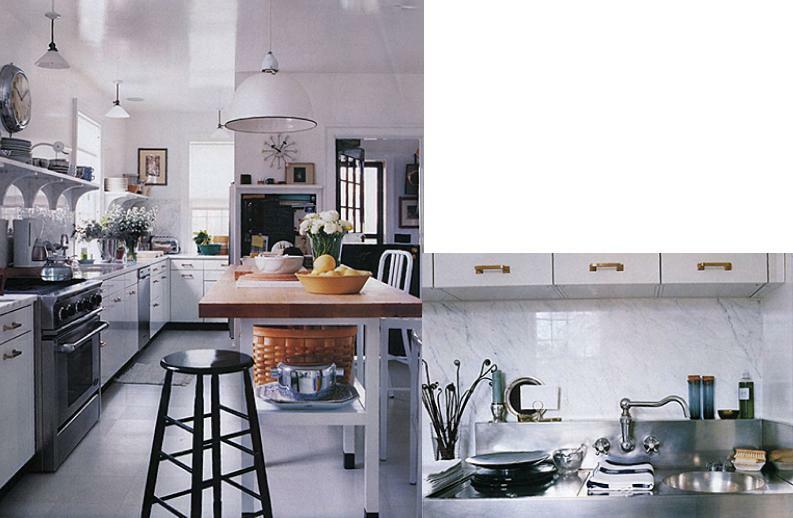 Three by the legendary Thomas O’Brien (top image is his own NY apartment). The bottom one is definitely my favorite. 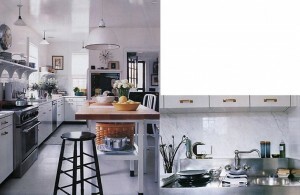 What I would do for that much space! 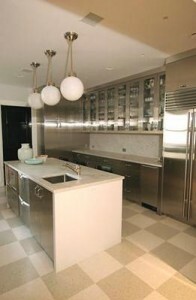 Space a aside, I love the design. 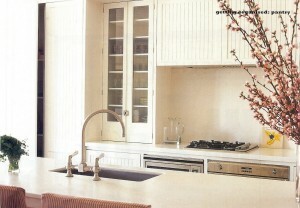 He is one designer (along with Mr Gambrel) who always manages to make utility rooms look stylish. 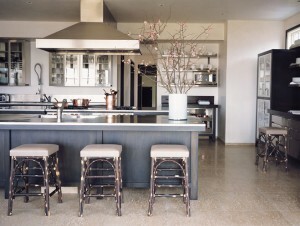 A kitchen by “The Wearstler” – a little more modern that I normally go for, but I quite like how she combines materials together. 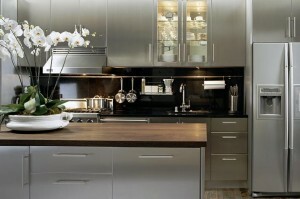 The wood countertop and the black splashback seem to warm up the mass of stainless steel a bit. This one is from NY based Glenn Gissler. 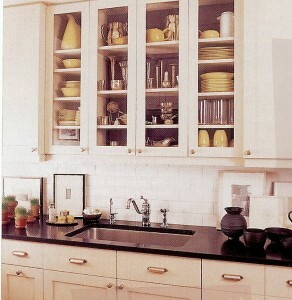 The colour is not one that I would personally chose for a kitchen, but I love the cabinetry with the silver edging. Very sleek and chic! 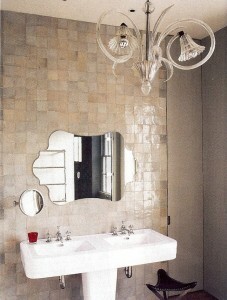 Thanks to all for your comments on my bathroom related posts. 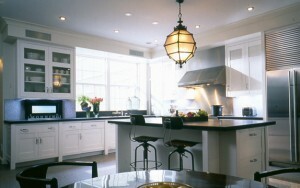 I was planning on posting some kitchen images anyway, but I think now it’s a must! 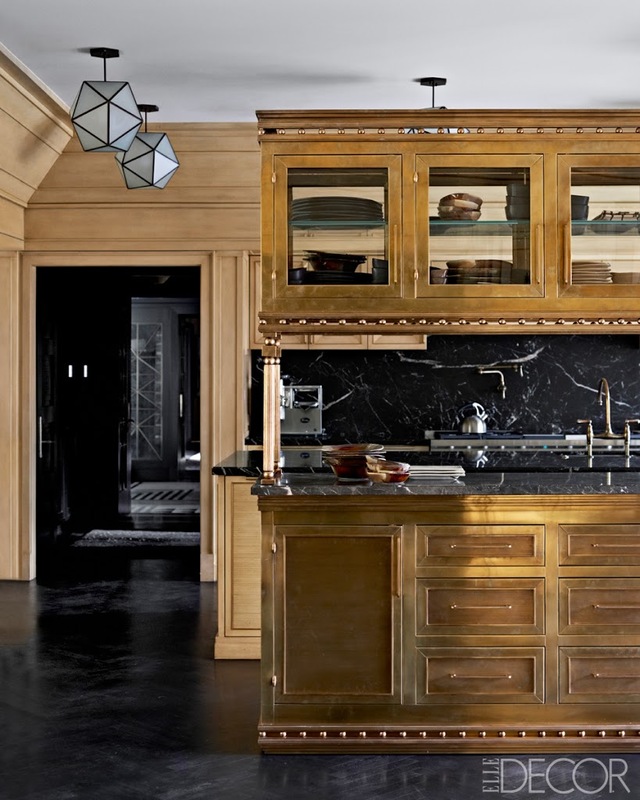 Three classics by Steven Gambrel. This man can do no wrong in my eyes. 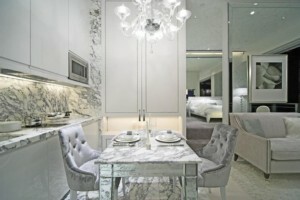 A very small but very luxurious kitchen by Hong Kong designer Steve Leung. 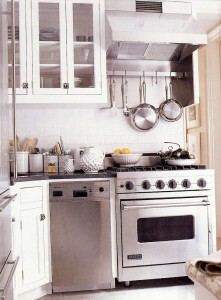 So crisp, so fresh and so chic! 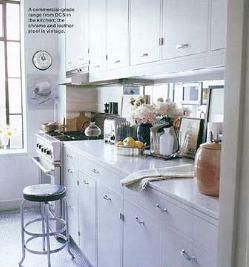 The kitchen of Michelle Smith featured in Elle Decor Oct ’07 . 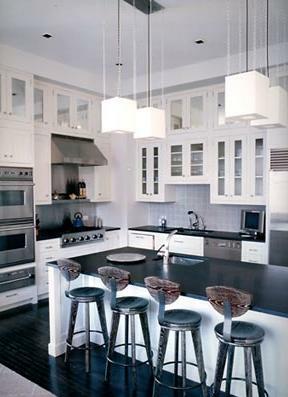 I have always loved the combination of black and white in kitchens – especially white cabinetry with black benchtops, and this is a great example. 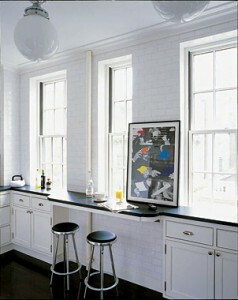 Plus I love the idea of having a breakfast bench – and having art in your kitchen. 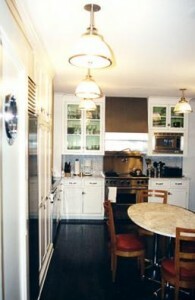 From one of my favorite all time NY apartments, designed by Fox-Nahem. So classic. 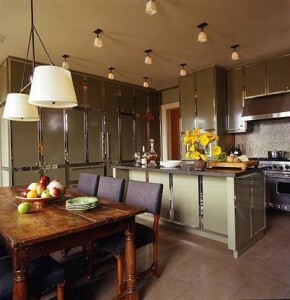 I love the vintage light fitting. 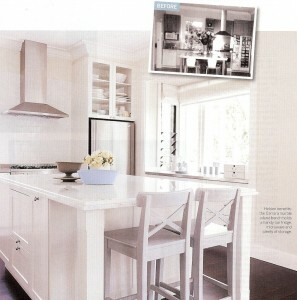 One of my many tear sheets I’ve been carrying around with me, from an Australian magazine. 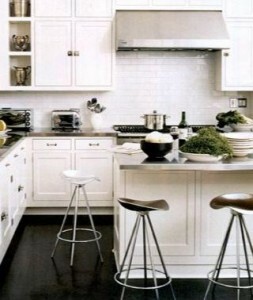 I love the combination of dark wood flooring and all white cabinetry. Plus the light! Another old favorite, so classic. 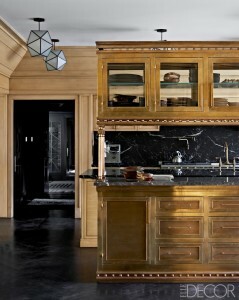 These two are from a Melbourne home decorated by Stuart Rattle. 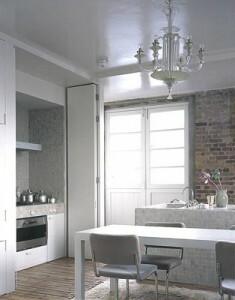 I love the simplicity of this and how well it blends into the rest of the interior without necessarily looking too ‘kitcheny’. 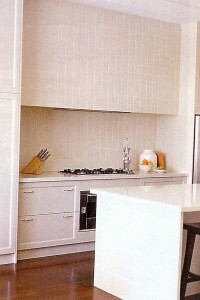 Plus I think the tiled wall/splashback looks remarkably stylish. 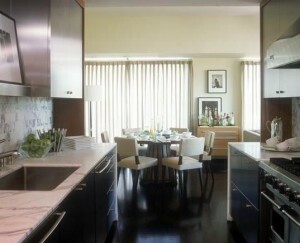 From the apartment of Timothy Whealon. I probably don’t need to say much more than that. Simple. Chic. 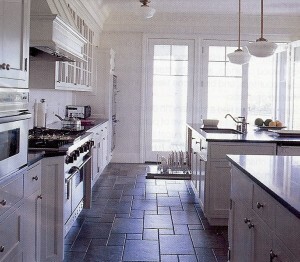 Again, the dark countertops and flooring with the white cabinetry. I must be onto something – it seems to be a recurring theme. And another. Also a great example of displaying art successfully in a normally utilitarian room.